N449J (formerly VH-EBR) barely clings to life in a Tucson scrap yard. These images were taken on 8 June 2010 soon after the top of the fuselage was removed to enable the sale of the window panels to a customer in Belgium. 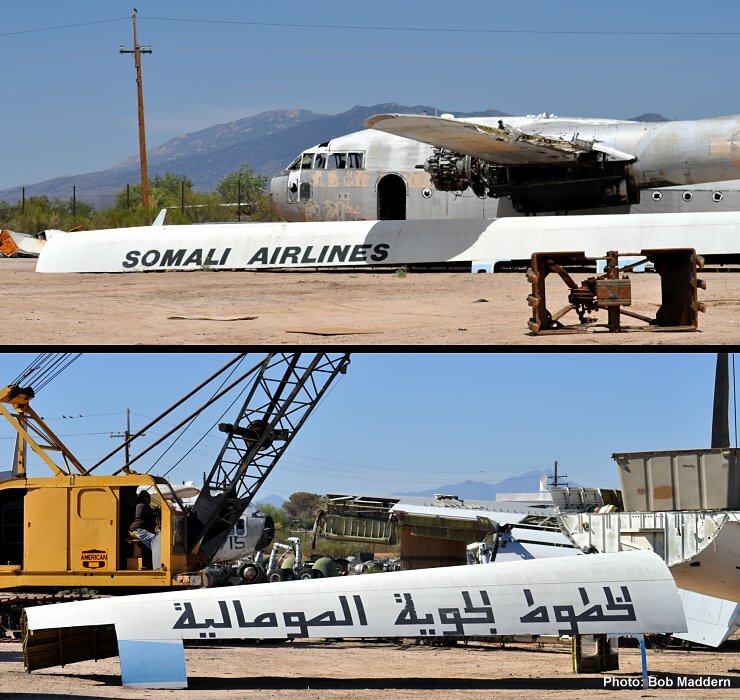 These two panels displaying the Somali Airlines name are available for sale.